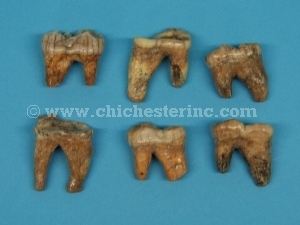 The fossilized cave bear canines are from Romania. 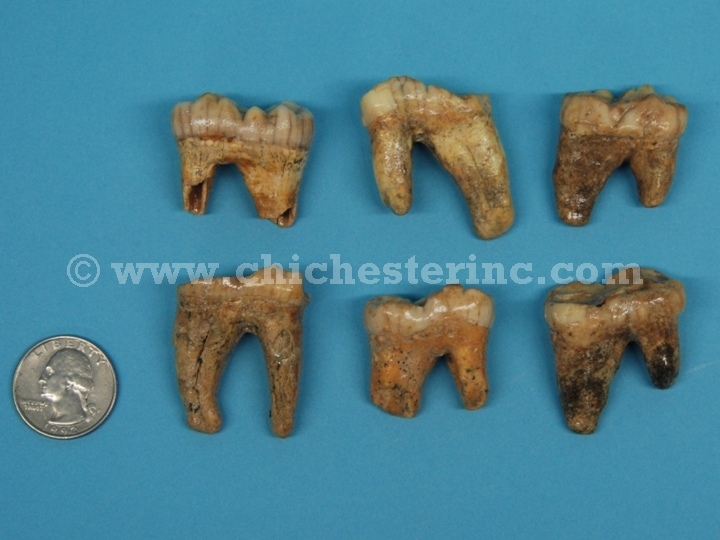 The canines are approximately 3.75" to 5.25" long by 0.75" to 1.25" wide and weighs about 1 to 3 oz. 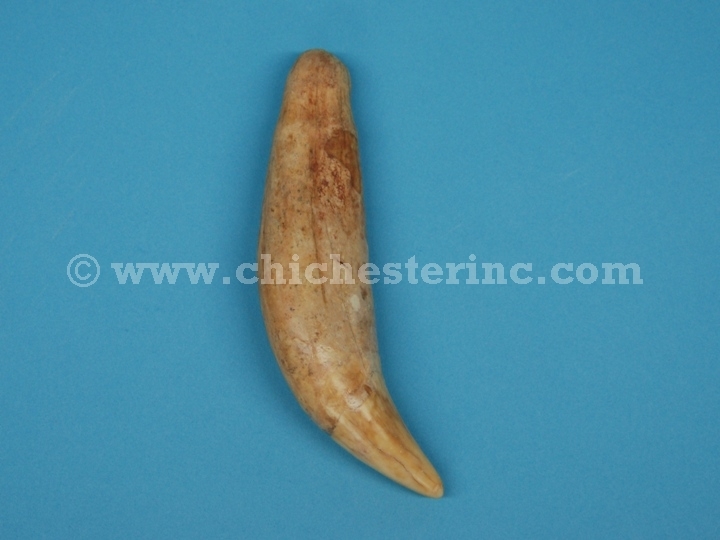 The cave bear teeth are from Russia and are sorted into large and small sizes. 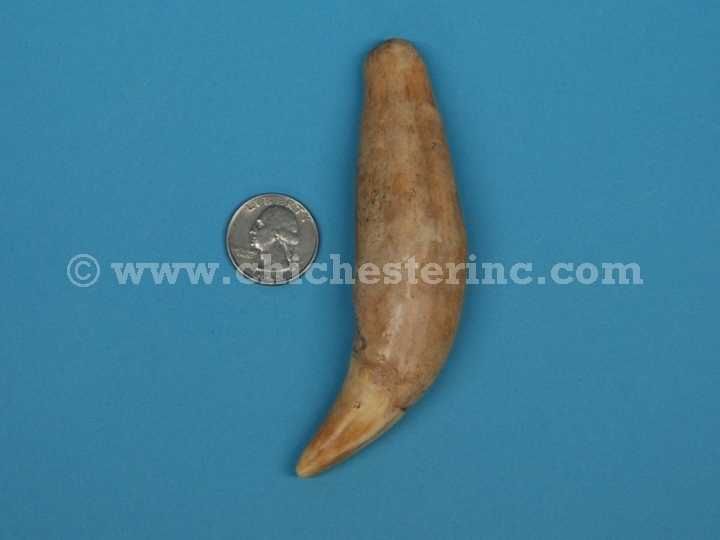 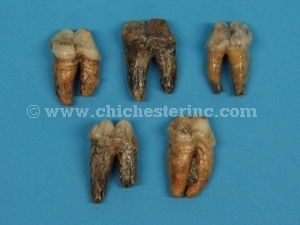 The large teeth are 1.25" to 1.5" long by 1" to 1.25" wide and weighs about 0.4 oz. 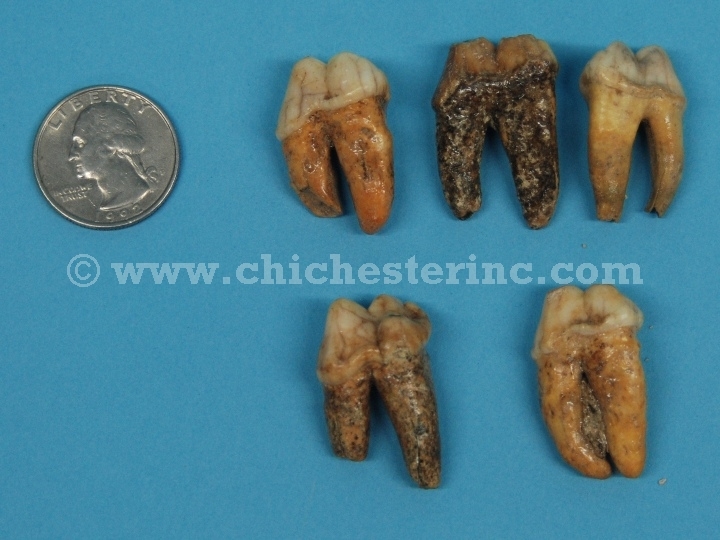 The small teeth are 1" long by 0.75" wide and weighs about 0.2 oz.